I bought the combo as a transportable 15" rig for practicing alone and with the band as well as small gigs. And it is simply perfect for my needs. The Toneprint function lets me put the most important effects that I need on, and it has an internal tuner, so I usually turn up with the combo in one hand and the bass in its case with cables and my tablet in the other hand. The sound is very versatile and can even cope with the occasional slapping. With the 250W I have gigged in a hall in front of 500 and enough grunt to move air against the drummer. No boom or other issues that could not be adjusted with the sound options. 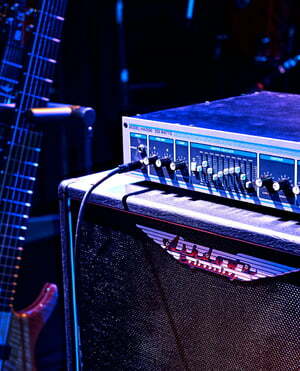 My other rig GK with 4x12" cab is now spared for the big events only. 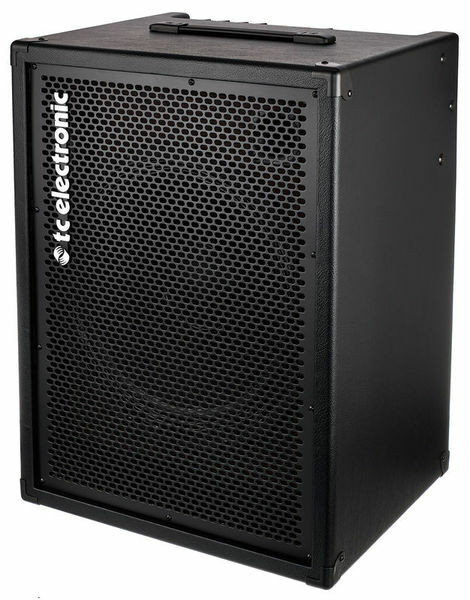 In comparison I have to say that the tc is more convenient to move around and re sound and versatility almost on par. The build quality looks good to me, time will tell, if it can cope the transport stresses to come. Thomann delivered very fast to the other side of the globe, so another perfect experience. First suprise was how lightweight it was. Picked it up when it arrived and couldn't believe that it weighs so less. Plugged it in and couldn't be more pleased of the sound. For a 1*15" speaker, it delivers a lot of volume, on both low and middle freqwencies, and the tone is fairly nice. Took 2 minutes to download the TonePrint App and with it, the possibilities are endless. The 2 effects channels work great, and the potetiometer on each of them lets you select the amount of awesomeness. Software is easy to use, and works great. Fair to say, it would be recommended to have the optional footswitch for switching between effects channels. Also can be mutet from there so it has a lot of sense. It can be a real good alternative to having many expensive pedals on the floor, as the built in effects channels can deliver original sounding effects at no extra cost. I would say that for a gigging band, for rehearsals and live shows , this can be the perfect bass man's tool. Never felt that my rig needs anything more since I have this, and never felt that it is missing something. Great amp, great price ! ID: 323746 © 1996–2019 Thomann GmbH Thomann loves you, because you rock!